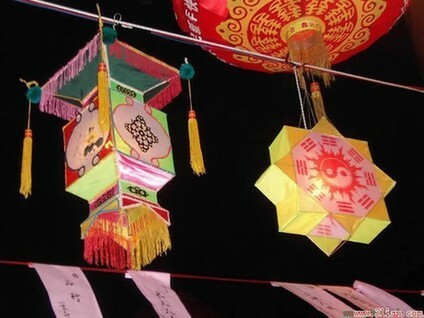 Lantern riddles are riddles that were written on the lanterns that are displayed during the Chinese Lantern Festival or Chinese middle autumn festival and so on. The full name of ‘Lantern Riddles’are ‘riddles written on lanterns’. Chinese Lantern Riddles People in the festival must guess the answer from a word , a poem or a phrase, guessing the riddles are as hard as fighting with a tiger, so that lantern riddles have another name - ‘lantern tigers’ . Riddles: What’s full of holes but still holds water? Riddles: What building has the most stories? Riddles: Which is faster, hot or cold? Answer: When it is not made up.